The three weeks in Eritrea are finished. I say the last goodbyes to the family and friends. I make sure that all the paperwork (declaration forms!) is ready for the return flight tonight. Check-in time is at 2:30 Sunday morning. I am too exited to have some sleep in the day time, and around midnight I am too afraid to miss my flight so early in the morning, so I will try to sleep one or two hours in the plane instead. The rest of the procedure is as always: Passport and ticket check at the airport perimeter, a scan of all luggage before entering the airport buildings, a physical check for arms and explosives. 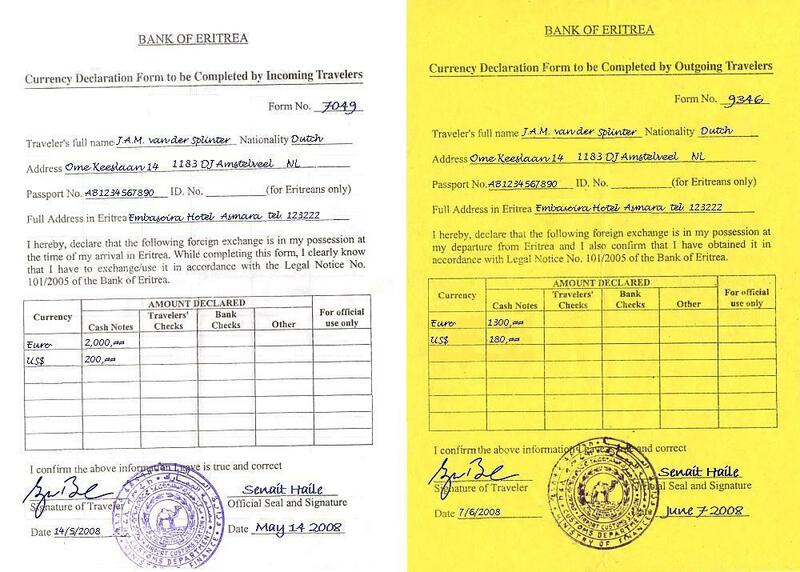 All passengers fill an exit card (there is different cards for foreigners and Eritreans) and a currency declaration form. Check-in at the Egyptair desk. Payment of 20 US$ airport tax. Check of the passport and the exit form. Third check of my passport for any omissions. Check of the cabin luggage and currency declaration form "Please show the currency remaining", and a second physical check for arms and explosives. Fourth passport check. After this check, double check, triple check the passengers will wait in the upstairs modern waiting room, surrounded by duty free shops and a small bar called "Take Off", until they are guided to to the embarkation room around 4:30. The 250 meter walk to the Egyptair Airbus are my final steps on Eritrean soil. I recently finished reading your latest visit home and loved every word. Mebrat, may I say I love your country, and especially the Eritrean people. 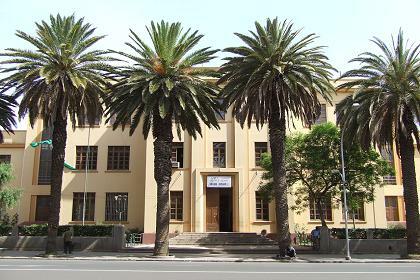 I think back to my times in Asmara, and how we were never told the truth about the Eritrean people. We were led to believe you were all shifta. I know now you were just like our Colonialists who fought the British for our independence. You wanted your country back, and are willing to fight for it. I commend you all for winning. You have transformed Eritrea into the beautiful country it is destined to be. Eritrea is in a class of its own. No other country could ever compare with the beauty of Eritrea and also its people. Free, strong, determined, honest, and loving people. Hans, I could feel every day of your travels through your diary. Thank you so much for sharing Eritrea with the rest of the world. I feel like I'm with you when I read your diary. Watching BBC News the other night, I saw a few African women just sitting and talking to each other, and all of a sudden I could smell Asmara. Over the past 40 years since I was in Asmara I have smelled Asmara many times. I don't know why or how to recreate it, but it is extremely enjoyable. It only lasts a few seconds and it's gone. I savor that moment in time. Very enjoyable. 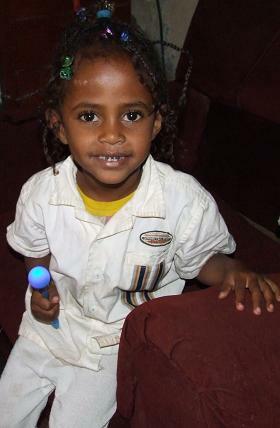 Naomi - Sembel Asmara Eritrea. 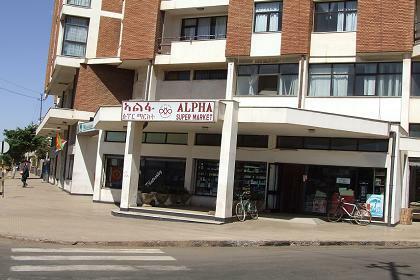 Alpha Supermarket - Warsay Avenue Asmara Eritrea. 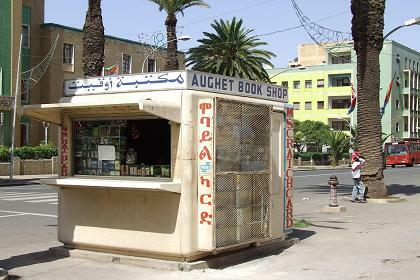 Stationary - Harnet Avenue Asmara Eritrea. 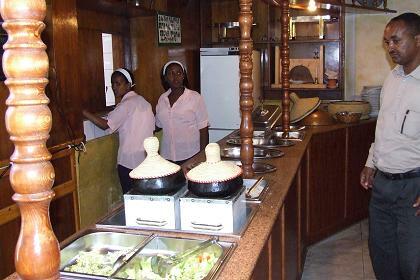 Pyramid Buffet Restaurant - BDHO Avenue Asmara Eritrea. 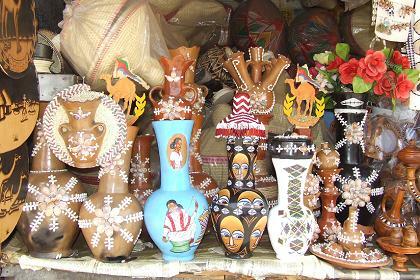 Souvenir stall - Asmara Eritrea. 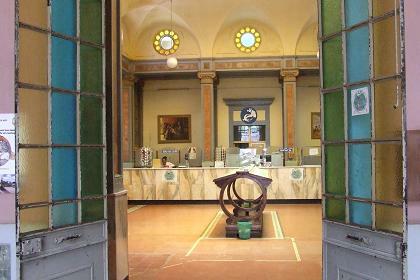 Post Office - Asmara Eritrea. 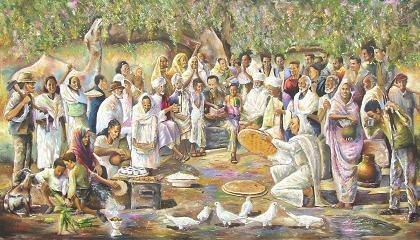 Painting (peaceful country life) - Asmara Eritrea. 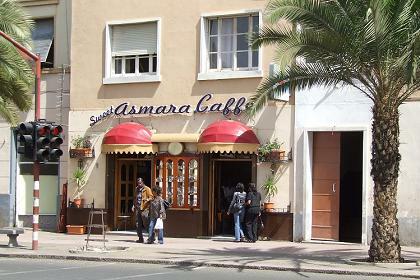 Sweet Asmara Caffee - Harnet Avenue Asmara Eritrea. 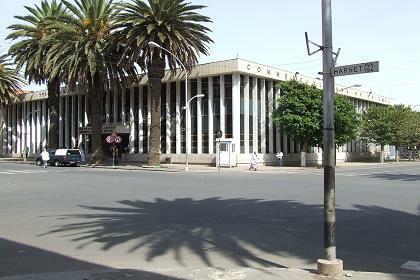 Commercial Bank of Eritrea - Asmara Eritrea. 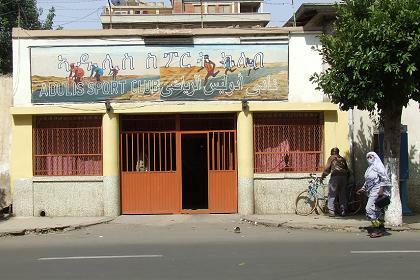 Adulis sports club and Pyramid Restaurant - Asmara Eritrea. 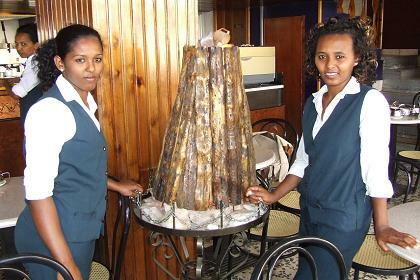 Feben and Tsega, Damera Bar - Asmara Eritrea.